When you install an app from the Google Play Store, the new app automatically creates a shortcut and places it on the home screen of your Android device. This is how it normally works, and in fact because of this, it is easier to locate and launch the newly installed app. But you might feel that your home screen is overflowing with various app icons, and you may want to stop newly installed apps from creating shortcuts on your home screen. 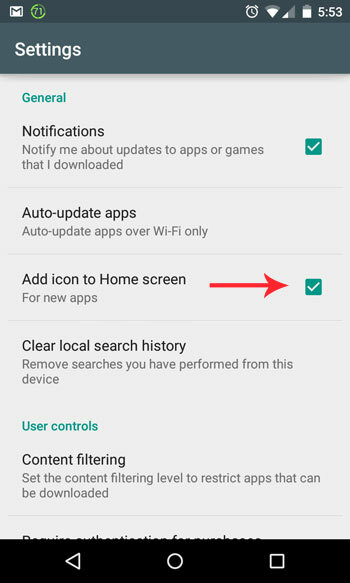 If you don’t want shortcuts to be added to your home screen after the app is installed, then there’s just a simple setting that you need to do in the Play Store app and you’re done. Let’s learn how to do this. 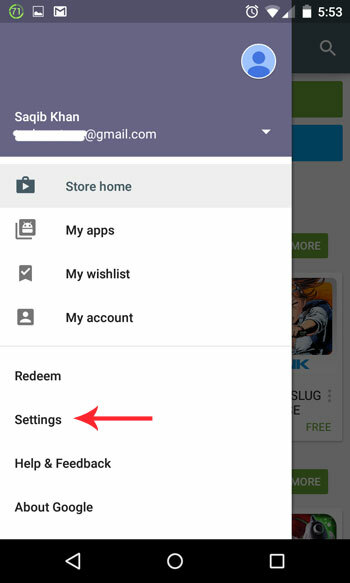 Step 1: Launch the Play Store app on your Android smartphone or tablet. Step 2: When the Play Store app opens, tap on the menu icon (three horizontal bars) from the upper left hand corner. Step 3: Tap on “Settings” from this list. Step 4: In the “General” section, tap on “Add icon to Home screen” checkbox. This will uncheck it and then you can tap on the back button to return to the Play Store or tap on the Home button to return to the Home screen. Now whenever you install a new app, there won’t be any new icon placed on the home screen. To launch your newly installed app, you will now need to go to the App Drawer. If in future you change your mind and again want to enable this setting, then visit the same place and checkmark the option. Great tip. I was not aware that was even possible. I thought it was up to the app vendor if there would be added a shortcut to the home-screen.